Sport, yes, but not as you know it. The irresistible rise of competitive gaming or Esports. Its top stars can earn millions of dollars a year, without breaking into a sweat. They train for hours a day and have legions of fans, who fill stadiums to watch them. But these aren't normal sports stars. They're part of one of the fastest growing industries - known as Esports. And, as John Murphy discovers, the distinction between real physical sport and this online, virtual version is narrowing, as major companies and some of the world's most famous football clubs are signing up the top Esports players to play in major competitions. 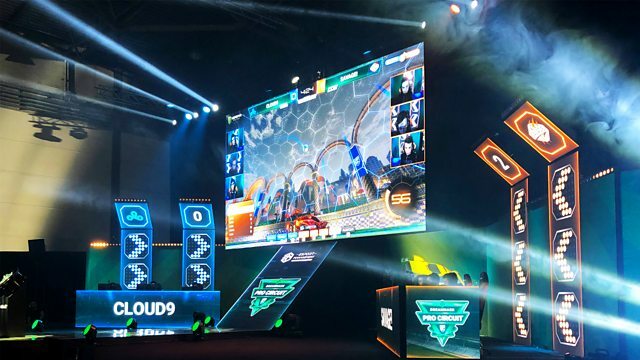 A number of video games, including Fifa, Dota2, Call of Duty and League of Legends, have their own international leagues and world championships. The global audience is now estimated at more than 200 million, and growing. Annual revenues from Esports, currently around 650 million dollars for events, continue to rise. Billions more are generated through video games sales. In the UK the video games sector, from which Esports have sprung, is now worth more than video (films) and music combined. There's even talk of Esports becoming an Olympic sport. So will dexterous Esporters become the new athletic champions, or is this a business that will play itself out? Who is making the money and how? And why are top football clubs clamouring for some of the virtual action? How much money are the top players making and what does the future hold for the industry?